Distinctive cuisines lend a sense of exoticism to any meal, and Cuban dishes are exceptionally popular these days. 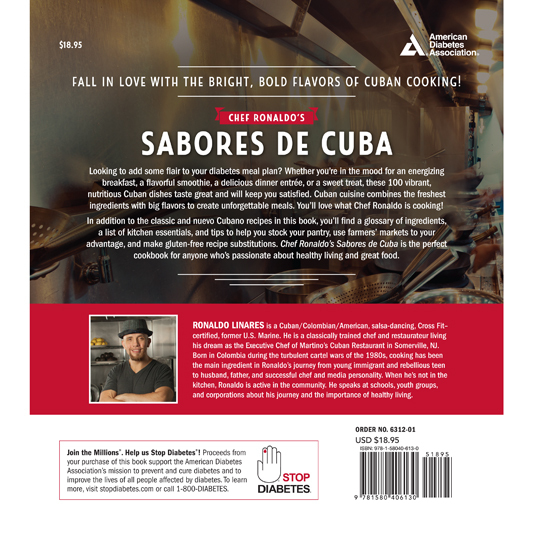 Ronaldo Linares, executive chef at the popular Martino’s Cuban Restaurant in Somerville, New Jersey, knows Cuban cuisine backward and forward. Chef Ronaldo specializes in creating healthy, diabetes-friendly dishes that are traditionally Cuban yet also have a modern flair. His dynamic, healthy,and innovative recipes are perfect for the home cook or the person wanting to impress his or her guests at a dinner party. 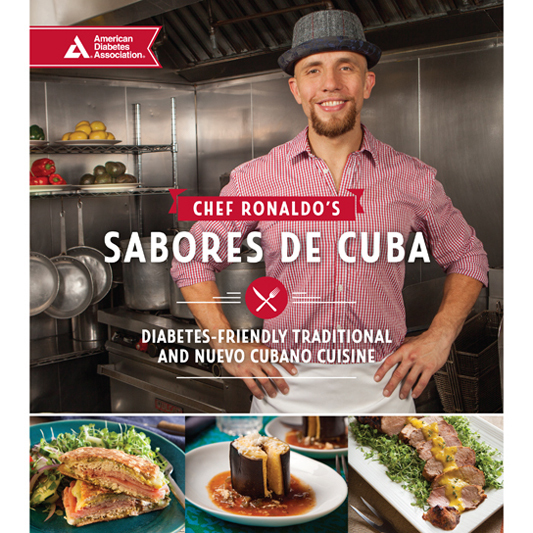 Chef Ronaldo's Sabores de Cuba features nearly 100 recipes, all of which will wow your taste buds and meet the strict nutrition guidelines of the American Diabetes Association. 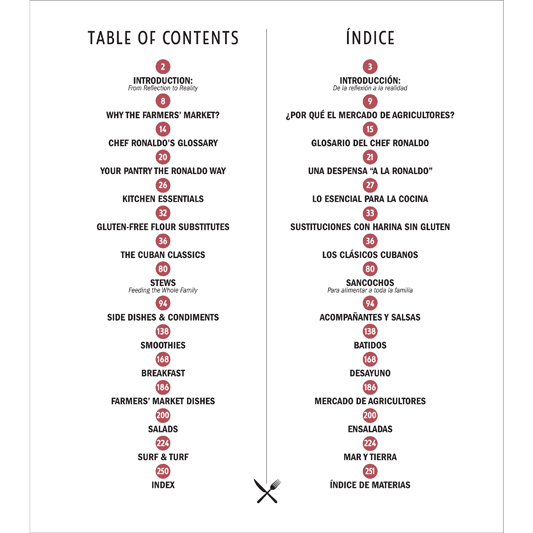 The book is bilingual, with English on one side and Spanish opposite. It also includes 8 pages of original color photography,an attractive two-color interior, a glossary, and list of helpful pantry items and kitchen tools.